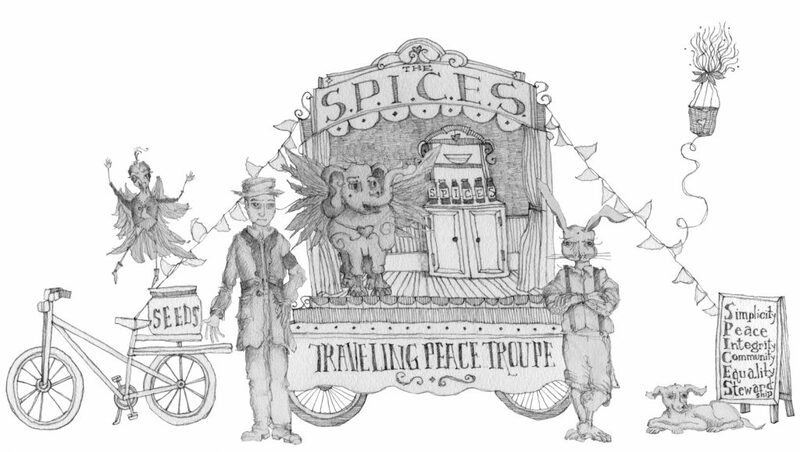 We’re the SPICES Traveling Peace Troupe! If you would like to attend a meeting and find out more, or volunteer with our Troupe, please contact Maria Nicklin (marianicklin@gmail.com) and Eric Carlson (ECarlson40@gmail.com), co-clerks of the SPICES Traveling Peace Troupe working group under Goose Creek’s Peace and Social Concerns Committee. We meet regularly at the Meeting House (contact us for dates and times). We welcome all interested individuals who want to help us sow love! © Goose Creek Friends Meeting Premium WordPress Theme.